Many of you may be familiar with the team over at iFixit. They basically take just about any smartphone or tablet-and now wearables-and tear them apart(in the nicest way possible of course)to see how easy or difficult they are to repair. We realize most consumers won’t be engaging in this particular activity, but it’s good information for those of you that either have the desire to do so or are feeling relatively brave enough to attempt it yourself. If you love to tinker with things and are generally one to try and replace something yourself if anything goes wrong with your device, then you definitely want to check out all the details. Before you jump into all of that though we’ll do a little breakdown of what happened when the team at iFixit took apart the device. With everything they tear down to mimic a repair process, they end up giving a score of how easy the device was to take apart should anything actually have the need to be repaired. 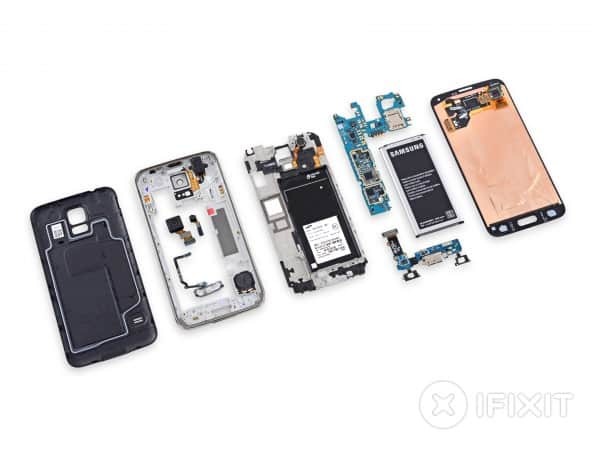 While it wasn’t exactly the easiest device to tear down, it did receive a repairability score of 5 out of 10 from iFixit, which is much better than the score given to it’s top rival the HTC One M8, which ironically was given a score of 1. 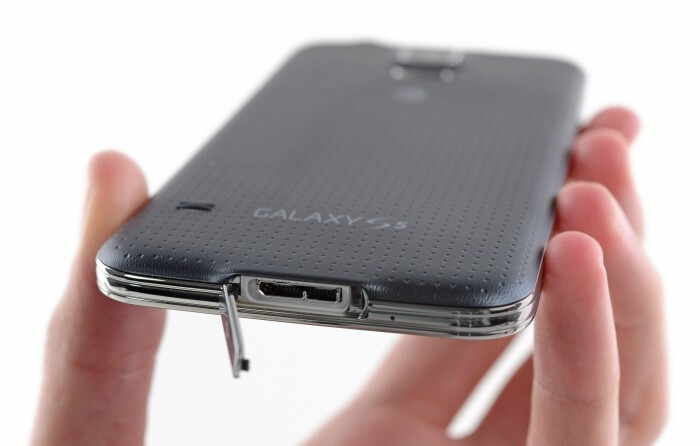 The reason for the difficulty on the Galaxy S5′s tear down may not be for the reasons you think. In fact, what made it harder to take apart was the screen which has to be removed before you can proceed and get to the phones guts, but with all the adhesive that Samsung used to hold the screen in place, careful prying and patience along with a large amount of heat application were needed to ensure they didn’t crack the display in the process of removing it. With things being as difficult as they are, we couldn’t see ourselves trying to attempt a repair of the Galaxy S5. If you want to see the all the details including all of the images, you can head over to iFixit from the link below to see how everything was done step by step. While we imagine most people won’t be giving this tear down a go, it’s still interesting to look at. The post The Display Raises The Difficulty Level Of The Galaxy S5 Repair appeared first on AndroidHeadlines.com |.